This is a side profile for an alpaca that Eric was asked to carve. 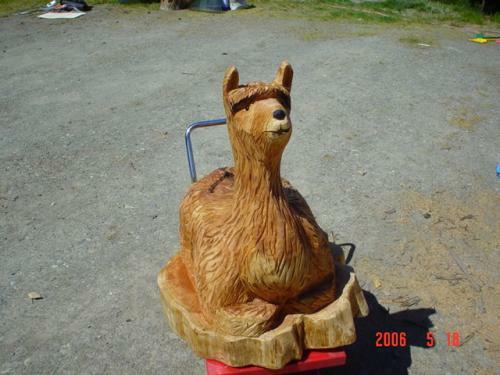 It is the only alpaca that Eric has carved to date. 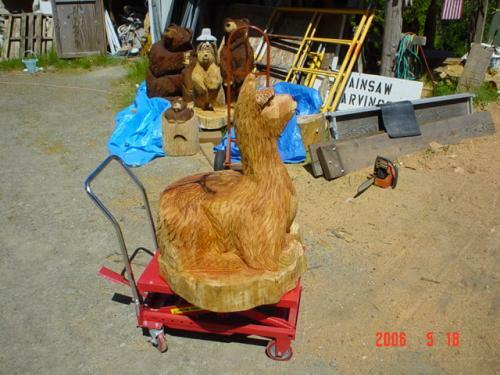 Front view of the chainsaw carved alpaca.